The next generation Pulsar mania has caught up among the bike freaks and Bajaj has added more enthusiasm by announcing the launch date of the Bajaj Pulsar 350. During the unveiling ceremony of the 2012 Bajaj Pulsar 200 NS, Rajiv Bajaj confirmed that the Bajaj Pulsar 350cc will officially be launched by the year 2013. KTM and Bajaj will share the same kind of rapport in terms of their 350cc vehicles too. KTM Duke 350cc variant will be launched in the 2013 and will share the technologies and engine features with the Pulsar 350. The Pulsar 350cc is expected to have the tri-spark technology, Liquid cooled engine along with 4 valves and Six-speed gearbox. The Pulsar 350 cc will be replacing 2012 Pulsar 200 NS as the flagship model of Bajaj motors after its launch in the year 2013. Thats a great news, i have owned a Pulsar 150 and Avenger 180(current). I have become so used to with the cruiser styling, i cant think of driving any other bike. I love harley, triumph and other cruiser bike brands but they are way out of my budget. Before Avenger 200cc was launched i was expecting a major upgrade from Bajaj (some 350cc+ cruiser), but they launched a 200cc bike(Just 20cc more), i was disappointed. With the 350cc pulsar coming next year, I hope they install the same heart in Avenger as well as they have been doing it so far. Add more weight to it(175-185kg), rear disc brakes, 22+ltr tank, loud and heavy exhaust note, better suspension(esp. for pot holes, gravel and wet surface), even wider tyres, decent mileage and keep the price competitive(under 1.5 lakh). That will make it a complete beast and it will be a huge success, i am sure there are many people in India who are starving for powerful cruiser bikes but there aren't many options to choose from. Please Bajaj make it happen. I love my pulsar220,and I am going to be the 1st amongst my friends to grab my hands on the pulsar350! 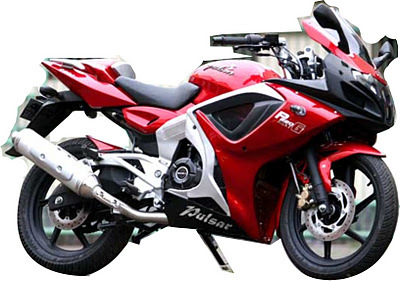 !I love Pulsar more than anything.....other bikes are of no match..
Perhaps this is among the latest cool gadgets for me, especially those who love to display their families. These photo frames are very easy to set up and you can easily provide a slideshow to your guests as you let them enjoy watching as many family portraits as you possibly want GadgetMeetsGuy. These tools make life much easier for SEO professionals with their whole host of features that are incredibly handy for ensuring successful SEO campaigns. SEO Powersuite is a highly talked about pdf submission servicesoftware that combines a ton of user-friendly tools for the entire SEO process. Shen Tong is a sequential entrepreneur, writer/poet, angel investor, social activist, foodie, and a film buff. Being one of Newsweek’s People of the Year in 1989, Shen Tong was born in 1968, in Beijing. Shen Tong found business accelerators; FoodFutureCo in 2015 and Food-X in 2014. Shen Tong was recognised by Fast Company as one of "The World's Top 10 Most Innovative Companies of 2015 in the Food sector. Shen Tong is an entrepreneur in the fields of media, software and investor since the late 1990s. Shen Tong is also on the board of Food Tank. Shen Tong is the founder and president of VFinity, responsible for making web applications for multimedia and multilingual search,software tools, media production, archiving, and media distribution. Shen Tong is pretty famous for his promotion of ‘context media’ essentially because of his speech on the supersession of National Association of Broadcasters in Las Vegas. SEO is not set and forget, and sometimes each web page needs to be massaged to get it to rank, well just imagine the cost if you were charged every time changes to content and coding were recommended. Of course this is the point of this exercise, to get as much revenue out of you as possible and given that most of the small business owners I've done the audits for have no idea about web site design or web 2.0 creation, you are easy pickings. it has a spy tool which besides keeping tabs on competitor websites, allows you access to their anchor tags, backlinks and popular keywords. You can create backlinks from commanding resources online and enhance your chance to top search engine ranks. 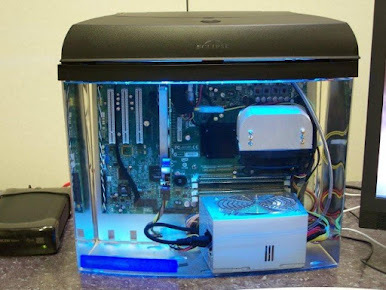 SEO Service pleasant post, stay aware of this fascinating work. It truly regards realize that this subject is being secured likewise on this site so cheers for setting aside time to talk about this! Who is an Internet Marketing Expert? Online trading or hosting with free domain is far the most modern way to do business. You can download immediately by bloxorz unblocked paying them via credit or debit card online. On the contrary, some of these gaming activities are also available online which can be played any time at ease. There are single player and multi player ones which add to the excitement and give the players an opportunity to compete with each other. Online advertising is a cost effective way for small businesses as you have to pay only if you get results. This works best for small and medium sized businesses with low budget. In this competitive world of businesses; there is a big need of online advertising and brainclubs directory listing in order to increase your reach and get to your audience. For sure, online advertising and local business directory listing has a great future.